Ubuntu one of the most popular Linux distribution nowadays. Most of new Linux users are choosing Ubuntu for its easy to use GUI because most of them used Windows and they are not familiar with terminal commands. But even it is the best choice for beginners, there are some cons. And in my opinion, the problem in Ubuntu is a Log on drum roll sound, which is annoying. Every time you turn on your computer and get a horrific sound notification and you think about how to turn off that sound. Today I will show you how you can turn that sound off completely. Type in your account password and hit enter. 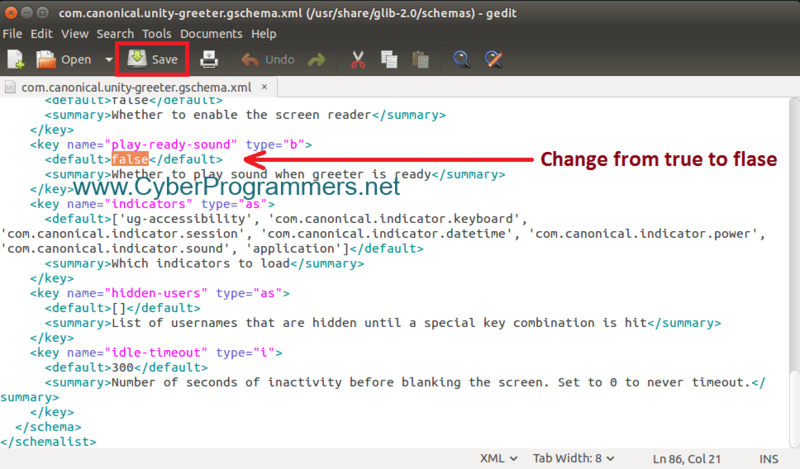 2) It will open up "gedit" text editor, scroll down and search for "play-ready-sound" line. Now under that line change the value from "true" to "false". 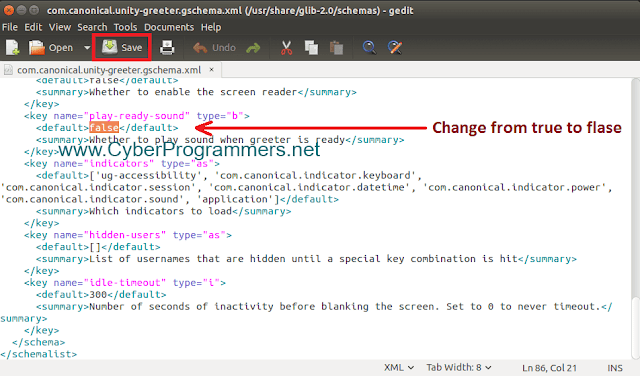 Save the changes with "Save" button at the top of text editor. Now you can restart your computer to see the results, you will no longer hear the drum roll sound when logging in to your user account.